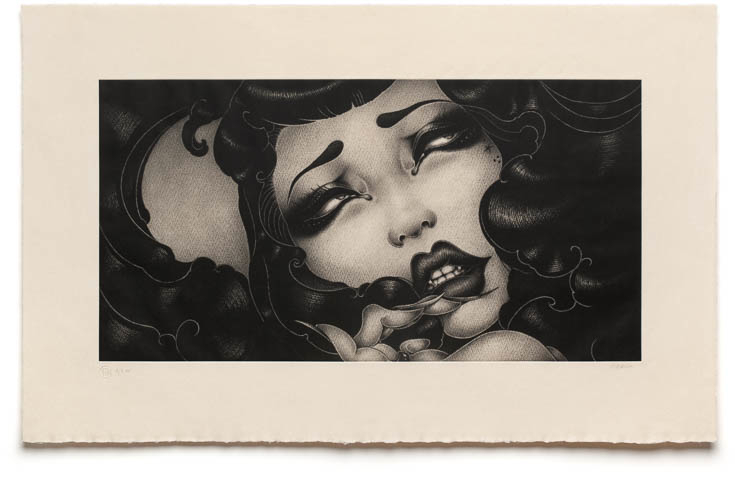 Pressure Printing just released a stunning new art print by ONEQ. “UneUne” is a 23.5″ x 37″ intaglio print, has an edition of 33, and costs $395. Visit PressurePrinting.com. Stunning. I hope ONEQ gets more exposure.